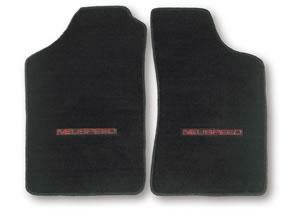 NEUSPEED custom floor mats are available to match most factory carpet colors. Each mat is custom tailored for a perfect fit. The NEUSPEED logo is embroidered into the mat and special interlocking stitching and serged binding keep the edges from fraying. Sold as sets of two or four.